[ad#link]For a Gemini, two is better than one. Does this mean that he won’t be happy with just one girlfriend? Not necessarily. But I wouldn’t put it past him to having roving eyes. For the sign of the Twins, variety is the spice of life. To seduce a Gemini who has a girlfriend, you must first know how to seduce a Gemini. The same tips work. Unless he has Venus in a conservative sign or has a strong commitment-focused Saturn aspect, Gemini will feel quite tempted. Whether he bites is another matter. 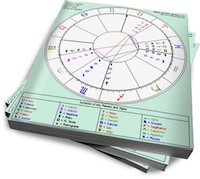 Gemini is ruled by Mercury. The messenger planet does not live by a code of ethics. He is the most slippery astrologod in the solar system. Gemini may not think there’s anything wrong with having two girlfriends. In fact, there is nothing wrong with having two girlfriends, as long as both women are fully in-the-know and consenting. It’s called polyamory. Unfortunately, not all signs can “swing” this. Scorpio, for example, doesn’t like to share. If his girlfriend hasn’t given him carte blanche to date other people, then the ethical thing to do is stay away. Mmmm nooo thats not realy what i mean….im so free spirited that i dont have time to be controlling and i know he isnt either..gemini’s are not usually controlling 🙂 self obsessed maybe bc i am a leo..vain eh…all i know is we’re happy! 🙂 what sign are u? I’m a gemini woman, and I’m in a “semi” open relationship with my boy friend. “semi open” This is a typical gemini thing to say, cerebral and of two minds allways, fascinating signs the gemini. I am a scorpio and I am with a Gemini man. He is everything they say he’s married (bad on me) but he and her aren’t in love. He only married her because of their daughter. I know he loves me by the way he is with me. I have known him for fifteen years and he has wanted to be with me for years. I hate this cause he loves me but we can’t be together. For now. i’m a gem…and i’m with a gem who was with another woman when we first met. there is nothing as fascinating to a gemini as another gemini’s mind…when the other woman saw the chemistry she stood down….we’ve been happily together for 3 years now. I find this a bit awkward. Why would you share a guy with another woman when you can have one all for yourself. I mean isn’t it bad enough that you become the third wheel or something. Aside that, I still love the tactics of seducing someone, for all the right reasons of course. Can anyone help me with a Gemini male? WE dated and everything was amazing, until the last few weeks when all we did was argue about nothing. After a particularly nasty break up and bit of drama the last month, I come to find out he’s back with his ex. He dated this woman “off and on” for six years and practically raised her kids. It seems he cheated on her with me then started seeing her again. We went to discuss some important issues and brought her, and she was so controlling of him she didn’t even let him look off the pavement without her permission. It was the most ridiculous scene ever. My question is, why did he go back to her? Why is it that he even started dating me? We really were two peas in a pod and got along amazingly. I just want some answers. A Gemini man within himself is already 2 peas in a pod. You made three. Three is a crowd and a Gemini man doesn’t necessarily want someone like himself. I find that Gem energy guys like females who are bullies of sorts. They want the woman to attempt to dominate their time, question their activities, and to MAKE them do what they are supposed to. It might not last in the long run, but for bits and pieces of time, it works. I feel maybe that’s why he moved away from her to be with you, then went back.